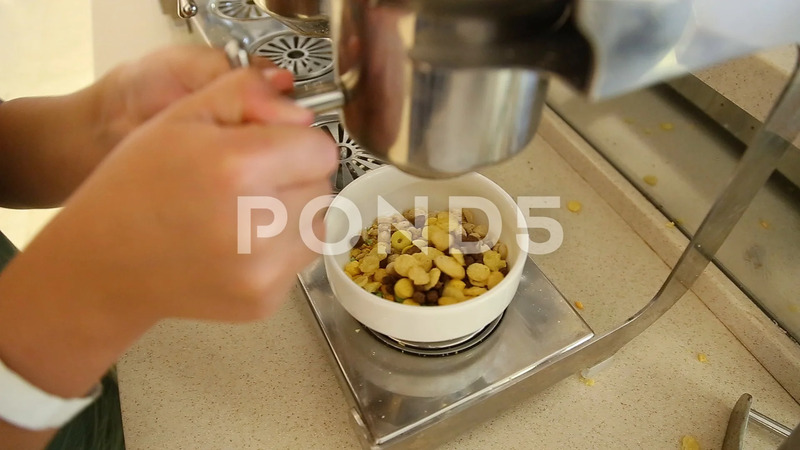 Description: Closeup of little kid taking some cereals for breakfast at self-service restaurant. View from above. Real time full hd video footage.